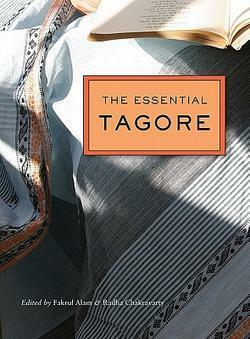 The Essential Tagore - Fakrul Alam and Radha Chakravarty. It is the 150th anniversary of the birth of Rabindranath Tagore, the Indian poet, playwright, novelist, composer, choreographer, educator and philosopher. So I propose as book of the year the splendid new anthology The Essential Tagore (Harvard University Press, £29.95), edited by Fakrul Alam and Radha Chakravarty, which contains an unparalleled selection of poems, plays, stories, letters and more, mostly in excellent, up-to-date translations. Initially known in the west as a mystical poet, Tagore was among India's most important social critics and thinkers; his depiction of the limits of women's lives is especially acute. This collection lacks important philosophical writings of his such as "Nationalism" and "The Religion of Man" but it is a vital starting point.